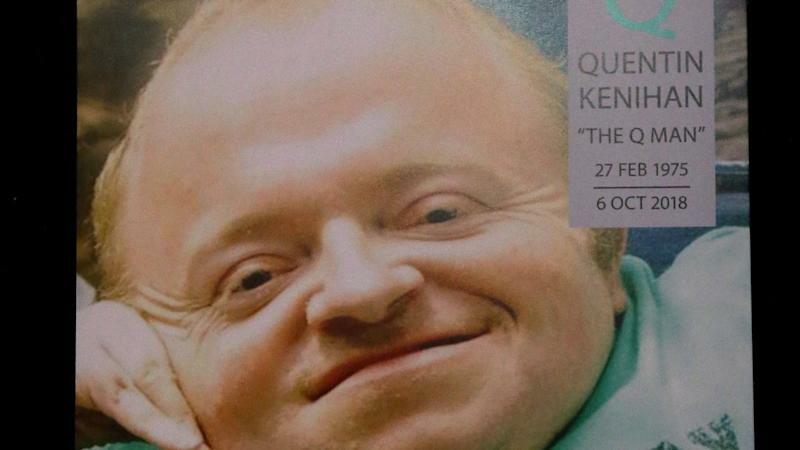 Disability advocate, writer and actor Quentin Kenihan will be memorialised with a playground in Adelaide to cater for people with a disability. The state government will provide funding for the Adelaide City Council to build the new facility in Rymill Park. Premier Steven Marshall announced on Wednesday the state government will commit $1 million to the project in next year's budget. "It is going to be the very best inclusive playground in the country," Mr Marshall said. "It has to be because it is going to honour the life of an extraordinary South Australian." The government will work with the Adelaide City Council, which will design and implement the play space. Lord Mayor Sandy Verschoor said the plan was an important project for Mr Kenihan. "Quentin worked with the council for years to design an all-inclusive playground that all children can access," she said. "We are pleased it will become a reality and it's a great way in honouring Quentin." Ms Verschoor said Rymill Park was the most accessible site in the CBD for the playground. The space is expected to feature sensory elements and water play. Construction will begin early 2020.